You get as much or as little help as you need. Time is billed in 15-minute increments with no minimums. You can purchase time and pay by credit card for just the time you use. Prior to purchase use the contact form above to submit your project objectives I'll get back to you to confirm project availability. Pay for your purchase in just a few clicks with PayPal, a leader in secure online payments. If you have an account already, check out quickly - no need to enter your debit or credit card details. Time purchased is valid for one full year after the purchase date.  Our services have been tested and proven to work. We are sure you will love the results you get from our services that we stand fully behind our work. If you attend all sessions or meetings or workshops as agreed, and are not fully satisfied with your results, we will provide services free of charge until you get the results you seek. That means you can purchase with confidence knowing that even, if it takes a little longer than planned, you will get the results or your money back.